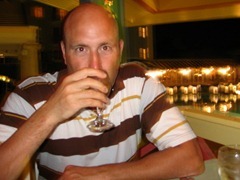 Jeff Weber was one of the early adopters of AdDuplex. His great Krashlander game is one of the bigger independent hits on the Windows Phone platform and it was by far the biggest app on AdDuplex at the time. So big that all the other apps combined couldn’t outweigh it. So I owed him impressions for quite some time and he was totally cool about it and for that I’m extremely grateful. Today I’m talking to Jeff about the success of Krashlander in quite some detail. Krashlander was probably the first independent mega-hit game on Windows Phone. How important to the game’s success was being early on the platform? Well first, thanks for categorizing Krashlander as a “mega-hit”. Not sure it’s quite that, but I appreciate the thought. I honestly don’t know how important being early to the platform was. I’m pretty sure it helped, but not sure it was key. I think the two most important things that contributed to the success of Krashlander are the early buzz I got across the Microsoft developer community and the fact that the game was fun and addicting for many people. I remember when I first saw Brandon Watson’s blog post about how to get a developer phone. I thought about it for a while and somehow came up with the idea of doing a blog post about why I deserved to get one. I wrote the blog post and emailed a link to Brandon. He liked the game idea and the videos I posted and he ended up doing another blog post that included mention of my game and several others. That was really the start of the Krashlander buzz. From there I just kept blogging about the development of the game and had some opportunities to show it off at some of the regional Windows Phone developer events. The second part of the equation, I think, was that a lot of people enjoyed the game. While developing it, I really didn’t know how it would be received. Krashlander has a very unique, sometimes un-forgiving control mechanic. I was very worried I was going to get hammered in the reviews for that. Luckily most people stuck with it long enough to get hang of the controls. Once you get hang of the controls, it’s a pretty addicting game. I think the reviews prove that point. Many commercially successful Windows Phone developers are successful in part thanks to the number of apps they have released. You, basically, have one. Was this a conscious decision to concentrate all efforts on one mega-hit rather than trying to capitalize on a number of smaller successes? My development time for games is pretty limited as I have to work around my full-time job and my family time. I generally get about 1.5 hours a day for game development. (I work 4am to 5:30am pretty much every morning.) After Krashlander was released, I really had to choose between starting another game or supporting Krashlander. It ended up being a pretty easy decision once I realized people seemed to be enjoying game. I also launched with way fewer levels then I had wanted to. I originally planned on 30 to 40 levels at launch. I ended up with 15, but I did make the launch date which was my goal. By focusing only on Krashlander, I was able to release another 10 levels, fix bugs, and release a free version of the game. I have a very large list of other game ideas that I will tackle someday, but for now I’m not done with Krashlander. I have a lot to do before Krashlander is where I want it to be. You are very open about your numbers and have listed your downloads and revenue stats in your blog post in May. How have you been doing since then? I released Krashlander (paid version) around Oct 21st 2010. I released Krashlander Free around Feb 20, 2011. Here are the numbers for both over their lifetime. Krashlander has also been lucky enough to have been part of a couple special promotions. I am not allowed to disclose the amounts earned from those. Needless to say I’ve been very happy with the money Krashlander has made so far. It’s allowed me to build a proper office in my basement and purchase some new dev tools like Unity3d. We’ve seen that the free version did much better commercially than the paid one. Has the ratio changed since May? Are you still making a lot more from the free one, than from the paid one? I’m still making more off the ads, but the numbers are dropping fast especially over the last several weeks. The Ad Revenue is much too volatile to know whether the downward trend will continue or not. Part of me would love to go back to just having the paid version because I really don’t like mucking up my game with Ads. That’s not going to happen though. You’ve participated in the famous MS Advertising experiment where you ran MS and AdMob ads in parallel and got much better results with pubCenter. How did this “deal” come about? Have you tried similar experiments with other networks? The Microsoft Pub Center guys contacted me and asked if I’d be interested in doing the AdMob vs. Pub Center experiment. Sounded interesting to me and I’d been curious about AdMob anyway so I agreed to do it. Since the experiment ended, I’ve not tried any other ad services other than Pub Center and AdDuplex. It would be interesting to do another comparison with AdMob now, though, as the Pub Center eCPMs have REALLY tanked as of the last month or so. I think it’d be a much closer race now. Yes, about 2 months ago I decided to begin porting Krashlander to the iOS platform. It’s actually more a re-write of the game than a strict port. This was a tough decision to say the least. As mentioned earlier, I don’t really get a lot of time for game development so deciding to learn a whole new platform and new set of tools was not easy. I thought long and hard before I made this decision. Here is a bullet list of just some of the things that went through my head while making my decision. I REALLY, REALLY wanted to develop a game using Unity (http://unity3d.com/). Unity is on fire right now in the game dev community. It has an awesome editor, it’s easy to use, and it supports multiple platforms. Learning Unity seemed like it’d be a blast and a good investment of my time. The Windows Phone doesn’t currently support Unity, but I am hopeful it will at some point in the future. I really think this might happen in the Windows 8/Windows Phone 8 time frame, but that is purely a guess. Krashlander did very well on Windows Phone and based on reviews and emails, people really seemed to enjoy it. If people liked the game on Windows Phone, maybe they will like it on the iPhone and iPad. And, as you know, the iOS market is HUGE! It’s still early days for Windows Phone. Taking some time away to try things on a different platform doesn’t seem too big a risk. If the Windows Phone decides to take off (and I think it will), I can always jump back on-board. I just hope that by then Unity will be supported and I won’t have to choose between the two platforms. I’m sure there are other things that I’ve forgotten, but the list above bounced around in my head for a few weeks until one day I just decided it was time to make a decision. I chose to give Unity and iOS a try… for now. You have a name in the Windows Phone community and your next project would easily attract attention from the community and specialized media. On iPhone/Android [I assume] no one knows you. And Windows Phone community is relatively small to be able to spread the word about Krashlander to users of other phones. Do you have a plan on how you are going to promote the game to the new audience? Yeah I think you are right, not too many people in the iOS community know who I am or have ever heard of Krashlander. When it comes to marketing, I never really have a solid plan. I usually just shoot from the hip and try different things as they pop into my head. Once I get a bit further along with the Unity/iOS version of Krashlander I’ll begin talking about it and giving early looks. I will definitely leverage the success of Krashlander on the Windows Phone as I promote Krashlander for iOS. While many iOS consumers may not know much about Windows Phone, I think a lot of the blogs and influencers are aware of it. Being able to point at Krashlander’s success on Windows Phone should lend some credibility to the iOS version. I also plan to spend the time/money to create a nice Krashlander trailer. (Something I did not do for the Windows Phone version.) I think the game has a “coolness” factor that will come across nice in a well-designed trailer. You were one of the first developers to use AdDuplex and definitely the biggest one at the time. I want to thank you for that and wish you good luck with your current and future projects. Thank you! Thanks Alan and thanks for AdDuplex. I do not track my stats with enough detail to know how much AdDuplex has contributed to the success of Krashlander but I have no doubt it gave it a big push. I recommend it to anyone interested in giving their app/game a little extra juice! Today we talk to Meds, also known on Twitter as JabberWorx. Meds entered the Windows Phone community spotlight when he released Chicks’n’Vixens – a really well made Angry Birds type game. You are best known for the first Windows Phone Angry Birds clone – Chicks’n’Vixens. Were you genuinely annoyed that the “real thing” wasn’t available for so long or did you think it’s a good chance to show off your skills and maybe even make some money in the process? It did bug me that Rovio appeared to be beating around the bush but there was probably some other things going on as well. I did it as a sort of tech demo and to see what I could do with Windows Phone 7 but it kind of blew up from there with the download numbers, emails and threats of violence haha. CnV got a lot of attention from the media. Was it just a natural interest based on its nature or did you do anything special to attract attention? There was a lot of luck involved, I don’t think I did anything particularly brilliant. My favorite parts of the game (the music and art) didn’t really involve me at all. When you’ve reached version 1.0 you did a brilliant business trick, sort of exploiting how marketplace ranking works. You’ve switched your app from free to paid and became number 1 paid app. Was it your idea or have you seen other apps do this? Maybe on other platforms? I was just making it up as I went along, any semblance of success Chicks’n’Vixens has had has more to do with sheer blind luck than any brilliance on my part. I wasn’t too keen on doing ad support, I know there’s money in it but I wanted to try and do something a bit different. After being #1 for almost 2 weeks as a paid app I can say that I’m very happy with the results. I won’t give specific numbers but suffice to say it would make many iOS and Android devs green with envy. An update to the game called Chicks’n’Vixens: No Donuts is an ad-supported free app. Why did you decide to go with ads this time and why did you release it as a separate app? Lots of people were asking for a free ad supported version so I didn’t really have a choice but to make an ad supported version. It was going to also be released as an update for Chicks’n’Vixens but technical reasons prevented that. I’ve seen you tweet about porting CnV to other platforms. How is this going? Have you released anything already? How do downloads/sales compare to the Windows Phone version? I released it on iPhone but didn’t try to market it very much so it didn’t get very successful, sort of got bored and distracted with other projects I wanted to pursue (also real life work and responsibilities). Today I’m talking to András Velvárt who is best known to the Windows Phone world as the creator of a SurfCube – a revolutionary 3D browser for Windows Phone. He is also a Silverlight MVP and an active community member. What else do you do, András? In short: I am trying to express my passion towards User Experience – speaking at conferences, teaching and of course working on projects. I have a consulting company in Hungary (www.response.hu), which specializes in creating cool stuff using Microsoft technologies. We have won Microsoft’s Innovation award three times – a unique tablet application for travelling support technicians; our Silverlight-based Zoomery solutions; and SurfCube itself. We have also created some Kinect applications – Kinect Maps allows you to fly through 3D Bing maps like a bird, and our Kinect Quiz is ideal for exhibitions where companies can attract visitors through the novelty and futuristic user experience of Kinect. We are currently working on a third Kinect project that I cannot disclose for a few more weeks. You can see videos of these apps at our YouTube channel, and read about them on my blog. You are from Hungary, one of the 2 new European countries on the list of directly supported Windows Phone developer countries. But when you released SurfCube Hungary wasn’t supported directly and there was no concept of Global Publishing Partners back then. So how did you do it? We Eastern Europeans are a pretty resourceful people when it comes to working around the rules, but there is not much magic here – we have partnered with the Hong Kong company Kinabalu Innovation Ltd who helped us publish the app (and some others since). Making a browser for a platform that doesn’t allow users to replace the default browser is a somewhat questionable idea. What was your motivation and did you have any commercial aspirations for the app from the start or was it just a science project? When we started out with SurfCube about a year ago, it was going to be the first third-party browser for WP7, and the key point of it was to have better video support than the stock browser. As it happens, due to some other projects and sicknesses in the company, the project got delayed, and other browsers came out. That’s when we began to think hard about how we were going to differentiate our browser from the rest. Thus came the idea of putting it on a cube, and we started to experiment with this new interaction model. When we saw that it was actually usable and pretty much everybody I showed it to had a gasp of “wow”, we decided it had a chance in the marketplace, and made it a paid app, and added useful features, like Orientation Lock, Bandwidth Saver and a couple more. The first portal to write about SurfCube was WMPowerUser, and Engadget saw their article. I think the secret was the 3D cube concept. Engadget found it cool, and it allowed them to be sarcastic about the newborn Windows Phone platform by playing the gimmicky card. They gave the article the title “SurfCube gives Windows Phone 7 the 3D browser it needed so desperately“, and said things like it comes from the 3D craze of the 90s, where everybody thought 2D interfaces would soon be the past. But, the overwhelming majority of the response to the videos was very positive. As the saying goes, any publicity is good publicity – especially having a video on the front page of a technology portal like Engadget. This coverage got us almost a 100,000 views, and while most of them didn’t have WP7 at that time, being featured on Engadget helped achieving a great initial traction. Now you have a free ad-supported version and a paid version. How are these doing compared to each other? Both in terms of downloads and revenue. Have you managed to withdraw money from MS advertising? Going with the hybrid model was both good and bad. Unfortunately, while the trial apps on Windows Phone are great in theory, many people only check the free apps. We have experienced 2-3 times as many downloads for the free app. Microsoft should modify the Marketplace so that non-crippled trials show up among the free apps, too. On the other hand, the introduction of the free app caused a reduced the number of downloads with the trial/paid one, and the effectiveness of any campaign where wp7 enthusiast portals linked to both the trial and the free version. This caused us to slip down on the charts, and currently SurfCube is floating a bit below the #100 paid app position, while we had been around #20 earlier (with admittedly less apps in the Marketplace at that time). However, with the advertisement income, we are more or less compensated for the loss of sales. We still haven’t withdrawn money from MS advertising – although they opened it up for quite a few countries recently, neither Hong Kong or Hungary is among them. They did tell us to stand by though, so we should be able to get our money in the future. In my talk on Windows Phone app marketing and monetization I had one tip I can attribute to you, that spurred some controversy on twitter. I mentioned that it’s a minor tip during the talk but it’s not something you can see in the slides. The tip was not to submit your app on Friday. Do you still feel this way, can you explain why? Yes. If you look at the charts from WP7AppList, you can see that almost no applications get verified and published during the weekends. So, it looks like MS does not test the applications after Friday. If you are ready with your app on Friday, submitting it right away won’t make it published any earlier. Instead, you can keep testing on Saturday and Sunday even more, maybe add some new features – and submit on Sunday night or on Monday. You essentially have two more days to test and make sure the app doesn’t fail digestion without impacting the publishing date. Returning to SurfCube – the new version, SurfCube 4 just went live in the Marketplace. What is in V4, and has your marketing strategy changed with this launch? With every version of SurfCube we are addressing the biggest pain points of our customers. They give us awesome feedback, and have significantly influenced the roadmap of SurfCube. For example, even though it started out as a browser focused on video playback, we didn’t add video playback until V3, since users demanded tabs a lot louder. With V4, we finally had the chance to invite beta testers – and once again, they gave some phenomenal feedback, without which V4 would have turned out to be a lot different. With V4, we addressed one of the biggest pain points our users had. For a significant part of them, the learning of the new control schemes was too much – they just wanted a great browser. So, we added a new bottom menu which behaves almost like the menus in the OS itself, so those new to SurfCube can start using it right away. We have also added a new feature called “portal reading mode” – you can mark any web page so all of its links open up in a new or a background tab. For example, I open up Engadget, and just tap on every article I find interesting on the front page. They open up in a new background tab, so they will be downloaded and ready to read by the time I finished parsing the front page. We have a lot of other new stuff in V4 – much better landscape support, full HTML5 compatibility thanks to the new IE9 engine, pinning multiple sites to the Start screen so that they open up at launch, full Mango support, performance enhancements, etc. It is the biggest SurfCube release since V1, and we are very excited to have it in the Marketplace. As for V4 marketing strategy, it is pretty much the same as what we had previously – except we plan to be even more visible. I have been publishing a blog post series called “SurfCube on Mango” that detailed some design and development challenges we faced. We will hopefully get decent coverage from our friends at the WP7 fan sites, twitter. I have created a new, even more dynamic demo video called “SurfCube Rocks” for the launch. We have set up a Facebook fan page as well. We will try to contact people who previously reviewed SurfCube, and let them know about the new features that hopefully made their earlier problems disappear – maybe some of them will upgrade their reviews. We will use the help of AdDuplex to spread the word. And… we have prepared a surprise a few weeks down the road that may even get us back to Engadget, but it is bound to go viral in any case. Today I’m talking to Mik Chernomordikov, who works for Microsoft Russia and is responsible for a lot of developer related areas. As usual it’s very hard to remember full titles of Microsoft employees, but if I had to introduce Mik in relation to Windows Phone development I’d just say that he is Brandon Watson of Russia. Is this correct? Actually I even more but don’t tell Brandon about that 🙂 My official title is Client Evangelism Lead in Microsoft Russia – so, we’re with the wonderful team are responsible for our developer efforts on Windows, Windows Phone, HTML5 and Kinect. But for our external or public actions – currently Windows Phone has maximum focus of course, it was just launched a month ago in Russia. We’ve heard stories that Windows Phones are selling out in Russia. Is this true or is it just a very limited supply? We are very very happy about the start of our sales in Russia. Historically people in Russia were very friendly to Windows on their phones. For example, several years ago market share of Windows Mobile was more than 20%! Today we see the great interest to HTC Mozart start in September. Now HTC already started to offer HTC Radar as well as huge HTC Titan. You can also already make a pre-order for Samsung Omnia W. And it’s only beginning – stay tuned for Nokia news! Can you give us any specific numbers? As I told you, I’m responsible for developer efforts, not for sales. So, I’m not the right person to share any numbers. OK, but give us a rough estimation of the size of the Russian market in terms of software sales. Lets say we all know that Windows 7 sold like half a billion copies. What percentage of that can be attributed to Russia? I won’t play with you on this speculation game 🙂 As for developer, I would be strongly interested in Russian market right now – because of big potential, really great start and, again, historic data for Russian consumers. So, please don’t forget to select Russia in the App Hub while publishing the app. Also, you can play on the field which is busy in other markets. For example, now we see not so big competition for Twitter clients in our market. Making great product you can get a lot of share and downloads. As far as I understand you cover most of the ex-USSR countries too, right? What’s the situation there? Actually not. I’m responsible solely for Russia. But at the same time we’re working very closely with our colleagues in CIS countries. Also, last spring we’ve signed a partnership with Softkey to make them Global Publisher for CIS countries. Now developers from all of them can publish their apps through Softkey. By the way, the prices are very good, also while comparing to other Global Publishers in other countries. How important is it for a regular Russian smartphone buyer that the app is localized into Russian? I would say that it’s different from apps to games. For games people are absolutely OK to play, for example, Angry Birds in English. Because in casual games almost everything is very easy to understand without words. As for apps – the importance of localization will be increased a lot. Average knowledge of English language among Russian is not so big comparing to other markets. So, I would expect much more popularity of localized apps. Is an app in English doomed in the Russian market or is localization just a competitive advantage? Again – the answer is different from apps to games. All local apps are in Russian. And the number of local apps increasing dramatically after start of sales. At the same time developers from other countries could be very successful in case of using Russian specifics. For example – author of Freda ebook reader told that nearly 50% of his downloads going to Russian-localized devices – Russian Marketplace providing an unexpected boost for e-reader downloads. That’s because we’re positioned as the most reading nation. Do most of the people in Russia have credit cards or do you have any operator billing agreements? In other words, is it reasonable to expect that people will buy paid apps? I would recommend at least to have trial version. Ideally – free version with advertisement. In general, Russian users are not so happy to buy apps. Probably it should be similar with Chinese market. But for games it’s also different. People buy games a lot. If a developer wants to spread the word about his app to Russian customers where should he or she go? What are the popular Windows Phone related blogs, sites, etc. in Russian? Well, now there is a set of them – like WP7Rocks.com, WP7Forum.ru, W7Phone.ru, W7Ph.ru and others. I’d like to thank Mik for sharing his insights into the Russian market. It seems that there is a huge potential there and developers shouldn’t overlook it. Alexey Strakh and Alex Sorokoletov are two young and very prolific Windows Phone developers from Belarus. I’ve met Alex in the early spring of this year when he came to Lithuania to get a US visa in order to be able to visit MIX11 conference. Yes, they have to go to another country in order to get a US visa (thanks to the “awesome” relationships their president has with the western world). I’ve watched him making the most out of the networking possibilities provided by the conference and I knew right there that this guy is going to be successful. Alex and his partner in crime, Alexey, have made a number of apps before releasing their hit Google Maps client – gMaps. And today we are talking with them about their success strategies. Hi, guys. You are from Belarus and Marketplace is not officially available there. Yet your apps are published under your own name (Alexey’s name to be exact). How did you do that? You are correct, we are both from Belarus. In marketplace we are registered as developers from Russia. 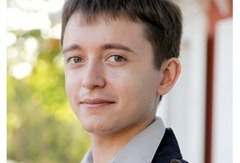 Alexey has right to work in Russia, so, he was able to register in Russian marketplace. That operation took us 2 months, now with help of SoftKey it can be done in a week or so. Before you released gMaps and became famous, you’ve done other apps and participated in some contests with them. Can you tell us about these contests and what effect they had on popularity of your apps, if any? Before gMaps, our most popular application was Naval Battle – simple battleship game, now with multiplayer and Facebook support. We participated in the infamous WP7Comp from RedGate, but didn’t win any place. The contest effected with some boost of downloads on Naval Battle, zTop and App Discounts, but not big. What do you mean by “had no opportunity”? Was it just that you weren’t able to travel to US at that time? Yes, we had no visas and not enough time to get them. 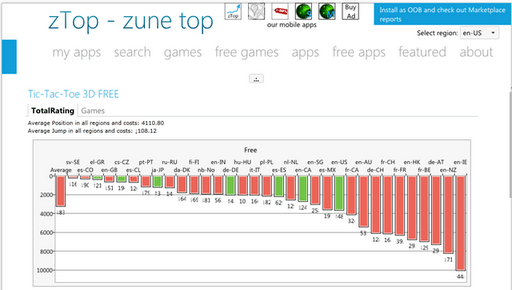 You also have an app and a web app called zTop which is pretty popular and useful for Windows Phone developers. Tell us a little about it. Once upon a time.. 😉 As you know, first version of marketplace had no ability to track downloads of the apps. We were thinking about a way to track downloads, and found out that position in Zune feed (when ordered by popularity) depends on downloads. In one working day we created the tool that displays application position in marketplace. If position goes up, then you had at least one download. That was the idea. Now we have historical position and discounts on applications tracking based on that scenario. Latest version of zTop integrates with AppHub and shows summary page with all information you need about you apps: downloads, purchases, conversion ratio and so on. All you need is just run zTop and see the information. Now let’s move on to your most popular app – gMaps. As far as I remember, when you released it for the first time it was free and had no ads. Was it because you didn’t plan to make any money on it, or was it part of your marketing strategy? Marketing strategy actually. We started with free version. When gMaps became popular it was still free, while deciding on best monetization strategy. Our idea was to get money and don’t loose users. Now you have ads in the free version and you have a paid Pro version. How are these doing in terms of revenue? What ad providers are you using for the ad-supported version? You can’t use pubCenter, right? We added ads in free gMaps, but the ad banner can be closed as on YouTube. Using that, we have ads and at the same time users can use the whole space of the screen. Revenue is pretty much equivalent both from gMaps and gMaps Pro. For ads, we use mixed set of providers – PubCenter, AdDuplex, AdMob. We can use PubCenter, but can’t get our money until we are residents of USA or Europe. As I understand your current strategy, you release new features in the Pro version first and then move them down to the free version later. Do you see spikes in sales of the Pro version when it has more features than the free one? You are right, strategy is as you described and it works good for us. It seems like Microsoft Russia loves you and makes an example of you for other aspiring Windows Phone developers in ex-USSR region. Did they just contact you after seeing gMaps’ great performance in the marketplace or did you specifically seek their attention? In other words: was support from Microsoft Russia a happy coincidence or a result of some targeted efforts on your part? MS Russia supported us from the ground. We visited launch of Windows Phone in Russia, had a great time and were able to play with the Phone. After that, we quite constantly contact each other in different areas – events, applications, monetization advices and so on. We’d like to dedicate many thanks to whole MS Russia team, especially to Mik Chernomordikov and Vlad Kolesnikov. We’ve been featured recently in 3 regions, including the largest one – en-US – with our paid version gMaps PRO. The release includes support of Google Latitude on Windows Phone, it’s the only app in the market. Before that, we believe we’ve never been featured. There could be various reasons – from the one you suggested to other like existence of other good apps on the market. I’d like to thank the guys for spending the time with me and wish them continued success in the worldwide Windows Phone Marketplace. I’m starting a new initiative which hopefully becomes a regular feature of this blog. Every week (or so) I will interview developers/publishers of top Windows Phone apps. The interviews will focus on the marketing and monetization strategies used by these top developers. What worked, what didn’t, what’s important and what is a waste of time and money. Subscribe to this blog and/or follow @AdDuplex on Twitter to be notified of the new interviews in these series. Our first guest is my good virtual friend whom I have yet to meet in person – René Schulte. René is a .Net, Silverlight and Windows Phone software developer and Silverlight MVP passionate about real-time computer graphics and algorithms. 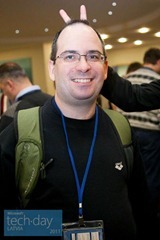 He loves Augmented Reality, computer vision and image processing and runs several Silverlight / WP7 open source projects. 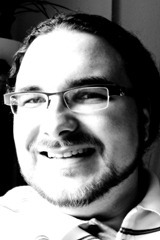 René is also the creator of the highly acclaimed Pictures Lab app and other successful Windows Phone apps. He’s a blogger and a regular author for various magazines and sites including Microsoft’s Coding4Fun. Pictures Lab was in the Marketplace before the initial Windows Phone launch in 2010. How important do you think this was to the success of the app? I think this was quite important since it got a lot of attention for being the first real picture effects / photo filter app in the market. The big blogs like Gizmodo, Engadget and MSNBC covered a few of the must have WP7 apps and Pictures Lab got featured in all. I guess that helped to jump start the app. MSNBC.com wrote: “a Swiss Army knife of photo tweaks”. What was your primary motivation for becoming a Windows Phone developer? Did you have a plan for this to become your main professional occupation? Is it your primary occupation now? Pictures Lab is a paid app. Do you think it was/is the right monetization strategy for it? Would you do the same if you were releasing it today? It took me 8 months to get an ITIN from the IRS in the USA. After I finally got it and sent the remaining forms to Microsoft, the first payout happened. I now get payouts each month. Your Helium Voice app has both paid and free/ad-supported versions. Did you release both versions at the same time? Can you disclose what is the ratio of downloads for the free and paid versions? What about income? Helium Voice was released in November 2010 and has 18773 downloads as of today. Helium Voice Free was released in March 2011 and has 143002 downloads as of today. The ad supported version constantly generates a good amount of revenue. Interestingly the release of the free app had no negative impact on the sales of the paid version. Your newest apps Cloud Recorder and Benchmark Free are only available as free apps. Does it mean that you think that ad supported approach is the way to go at the moment? Yes, for some apps. In particular long running or often executed apps (like games) benefit from the ad supported model, esp. if an impression based ad network is used, where you get paid out for every minute (?) of impression. I think other apps which aren’t used that often work better with the usual trial / paid model. Pictures Lab is an example for this. BTW, a good trial mode is very important. Many users don’t even consider to download an app if it hasn’t a trial mode. You live in Germany but you are using Microsoft’s pubCenter as your primary ad provider. It’s known that until recently they only supported developers from USA. What did you do about it? At the moment an US address and tax number is needed in order to get paid out, but as non-US user it’s possible to register and collect the revenue. I hope to get paid when their expansion process is finalized. They’re currently expanding to more countries including Germany. How do you promote your apps? I tweet and blog about the apps and contact the well-known WP7 blogs when I created a new app or released a major update. I also use AdDuplex as fallback ad network in my ad supported apps. In the AdDuplex stats of the apps I see that my ads are clicked regularly. Do you think that social media/networks play an important role in app promotion? Yes. If you have an unique app with some great features, the news will spread around quickly. Have you ever paid for promotion? Were your apps ever featured in the Marketplace? Did you do anything special to get featured? What effect on downloads/sales did that have, if any? Yes. My apps actually get featured on a regular basis. I didn’t do anything for it. I only try to make nice apps and I pay a lot of attention on good UX. There are major and minor features in the Marketplace and each country has its own list of featured apps. Being featured in the US as major feature once resulted in 450% more downloads on that day than the days before. The days after the feature also had slightly higher downloads than the days before the feature. I’d like to thank René for his time participating in this experiment. Hopefully you have enjoyed this interview. Since this was a first attempt, I’d really like to hear your opinion on the format, future question suggestions, etc. Please, do not hesitate to provide your feedback in the comments. Your input is highly appreciated!